Like the river, 240 acres is much bigger than North River’s 30 acres or the adjoining riverfront, but the effort is the same: capitalize on what made you, don’t create what you aren’t. One of the common questions about Headwaters Junction has been whether anything else exists like it in the world. While it’s easy to say that something that remains an idea is totally unique in every respect, it’s a lot like pitching components of proven, familiar efforts. Many cities may have a cultural district, a riverfront, a train or train related building, but it is rare they are woven together into one experience. Sacramento is a great example of an one-stop package, but I found myself wanting more. Granted, I was there before tourist season hit, and it was incredible just to walk around, but the question repeated in my mind: “Is there anything else out there like what you imagine this being?” And I feel more confident in my answer. One of the perception battles has been whether or not HWJ is a “museum.” Those who decry “museums” are probably saying more about themselves than any about of the best “museums” out there, but I understand the concern. The word museum unfortunately communicates “static” or “passive.” Something that the museum in Sacramento does right away is literally pull back the curtains in the screening room where visitors gather to watch a film before beginning their tour. The screen rises to reveal a wall-size window into a scene set up in the museum — exactly the type of PT Barnum and shock-and-awe sensibilities I subscribe to coming from the film and performance worlds. The packed room of visiting students ate it up. And it left me wanting more. To the observer, they are rusted, vandalized hulks. To someone like me, they are untapped potential, but also offer another perspective on the machine that inspired this vision for North River. 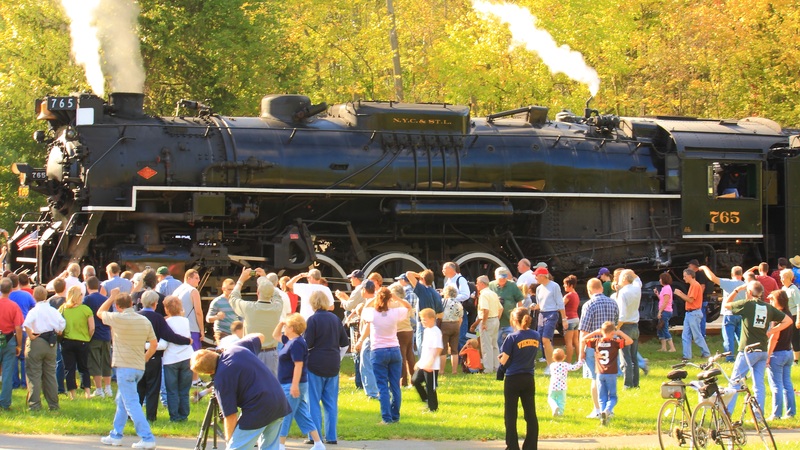 Only a handful of cities like Fort Wayne can lay claim to having their own steam engine — especially one that runs and can draw 40,000 people to a town in one weekend. The fate of many locomotives left to the elements, though this one is in good hands. Fort Wayne’s ambassador, doin’ it up. All it needs is the North Pole — and something like North River would do. 4th and Clinton and everywhere in between. So, in answer to that question “is there anything out there like this idea?” I can validate my reply better than ever: No. Not yet. There are glimmers elsewhere like in Sacramento, Santa Fe or at the New York High Line, but Headwaters Junction is ours for the making. Seeing Fort Wayne’s name among cities like New York, Sacramento, Chattanooga, and Santa Fe as places that have capitalized on who they are would be pretty stellar. Fort Wayne needs more PT Barnums who can channel their love of this city into something everyone can enjoy. So, strike up the band and remember, we have our own Polar Express. 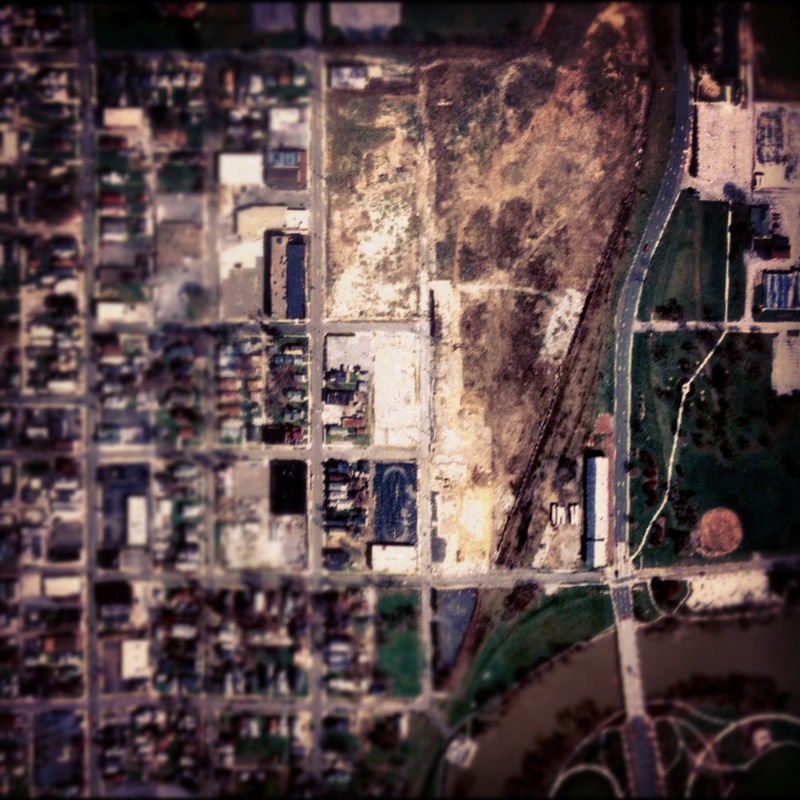 A great idea that begins to reflect the transportation history of Fort Wayne. It is so obvious and to make us wonder why it has taken so long and why it is not now a reality. For tourism and local pride this is first class. Awesome thoughts and reporting! I hope we can pull it together.You are an inspiration on the big size young man!